While people have been doing yoga for thousands of years, its health effects are still being figured out. Recent studies have shown that yoga’s stretching and strengthening programs can be both good for the body and potentially harmful in some cases. First, the good news. Research from the Boston Medical Center has concluded that 12 weeks of yoga can be as good as physical therapy when it comes to lower back pain. The study involved 320 adults with chronic low back pain who were divided into three groups: those who did the yoga program, those who did physical therapy (often the go-to approach for lower back pain) and those who were provided with information and education on low back pain. The researchers found that after 12 weeks, the gains in terms of pain management were similar for the yoga and physio groups, with the yoga group being 21 percentage points less likely to use pain medications than the education group and the physio group being 22 percentage points more likely. “Both yoga and physical therapy are excellent non-drug approaches for low back pain,” said Dr. Robert Saper of Boston Medical Center, lead author of the study, to Reuters Health. Yoga’s combination of meditation, relaxation and physical movement has made it a common recommendation for stress relief and the treatment of symptoms of anxiety and depression. Recent research shows that it may be helpful in easing the pain and fatigue associated with cancer treatment, too. One study from the University of Rochester in New York involved 300 cancer patients who followed a yoga program and found a 37 per cent reduction in “daytime dysfunction” for those doing yoga and less fatigue, overall, as well. Even at a cellular level, yoga seems to be beneficial for cancer patients, as concluded in a study by researchers at the University of Calgary Department of Oncology. The study looked at 88 breast cancer survivors who had finished their cancer treatments two years prior and were put in either a mindfulness-based recovery program which involved both meditation and yoga, a supportive therapy program or a control group without on-going interventions. Researchers then looked at the participants’ telomeres, protein complexes found at the end of chromosomes, whose length has been associated with diseases. They found that the women in the control group had shorter telomeres (a sign of cellular age and lack of proper functioning) than those in the mindfulness and therapy groups. Another recent study involving breast cancer patients in Mumbai, India, found that those who practiced yoga along with doing a conventional exercise program were almost twice as likely to report improved mood and less trouble with general activities than those who just did the exercise program. “Yoga works on the principle of mind and body health and it would help women cope with systemic therapy side effects better,” said Nita Nair, an associate professor of surgical oncology at Tata Memorial Centre and lead investigator, to the Guardian. But even as yoga, with its gentle stretches and slow movements, gets promoted as something that everyone can do, regardless of age or fitness level, the chance for physical injury still exists. 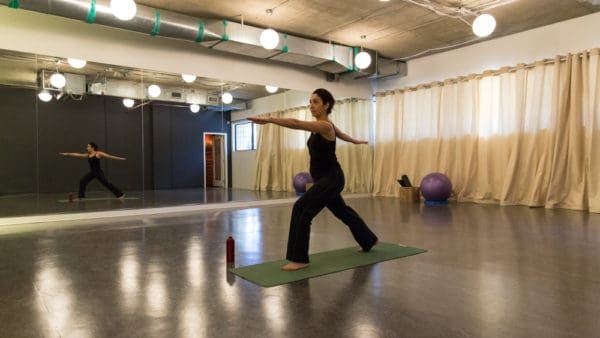 A recent study from the University of Sydney found that participation in recreational yoga classes caused musculoskeletal pain in ten per cent of practitioners and exacerbated 21 per cent of pre-existing injuries.